Doha, Qatar, February 06, 2019: Education Above All (EAA) Foundation’s programme Al Fakhoora in Gaza, successfully hosted “INSPIRE 2019,” inspire hearts, minds, action! This conference, in collaboration with the United Nations Development Programme, Programme of Assistance to the Palestinian People (UNDP/PAPP) and Qatar Fund For Development and in partnership with Al Nayzak organization, took place on January 31, 2019. 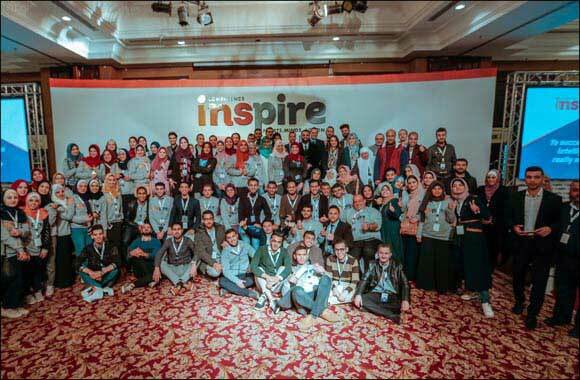 Organized entirely by Al Fakhoora students, INSPIRE was a “first of its kind” annual conference to discuss cutting edge and currently relevant issues in the field of education. The aim of the conference was to empower youth to speak up and become part of the global conversation on issues in the forefront of education, as well as to share Al Fakhoora students’ personal journeys to becoming active agents of change in their communities. Students in large numbers took part in this event, comprising 120 participants from Al Fakhoora programme and 30 from different academic institutions who were trained by seven world-class trainers on the importance of community building through youth involvement. The event was also attended by 300 delegates, including researchers, decision makers, educationalists, and members of the UN, INGOs and local NGOs. This unique endeavour was developed and planned by EAA students to showcase their achievements as they have progressed through Dynamic Future’s multi-stage inspirational civic leadership programme over the last two years. This event also served to demonstrate the skills, competencies and experience they have acquired as they have grown into positive, civic-minded citizens and, through their actions, inspire others to do the same. Mr Geoffrey Prewitt, UNDP Deputy Special Representative of the Administrator highlighted the significance of education as a human right that allows youth to achieve their potential, realize opportunities for employment, and develop life skills. “Education is central to growth and development and has remained high on the development agenda of the international community: education is one of the 17 Sustainable Development Goals. Unemployment among youth in Gaza is over 60%. We have to scale up the investment in creating a movement of education and motivate youth to make social change happen”. The conference featured panels where students discussed thought-provoking topics such as: “To succeed, does intelligence really matter?” and “Can social entrepreneurship lead innovation in education?” It included an exhibition for invitees to walk through displaying community initiatives which students designed and implemented during the programme, as well as a section showcasing art and featuring cultural activities led by the students, to engage the audience and conference participants. INSPIRE 2019 was a truly inspirational event, living up to its name in every way.